Selecting a pair of prescription eyeglasses is a unique experience: patients must consider the glasses' materials and durability, while also finding a pair that suits their personal style. Mi Vision Eye Care has a large selection of quality eyeglasses that includes some of the newest designs and most advanced materials. If you're looking for new prescription eyeglasses in the San Antonio area, stop by today. The process of finding prescription glasses begins with an eye examination; the optometrist will typically ask a few questions about your vision, and then measure your eyesight with a variety of tools and check for early indications of any conditions like glaucoma. Once an optometrist has determined a prescription, patients must choose whether they'd like to wear traditional glasses or contact lenses. While this is largely a question of style, many people prefer traditional glasses because they require little maintenance, compared to the daily changing and cleaning required by contacts. 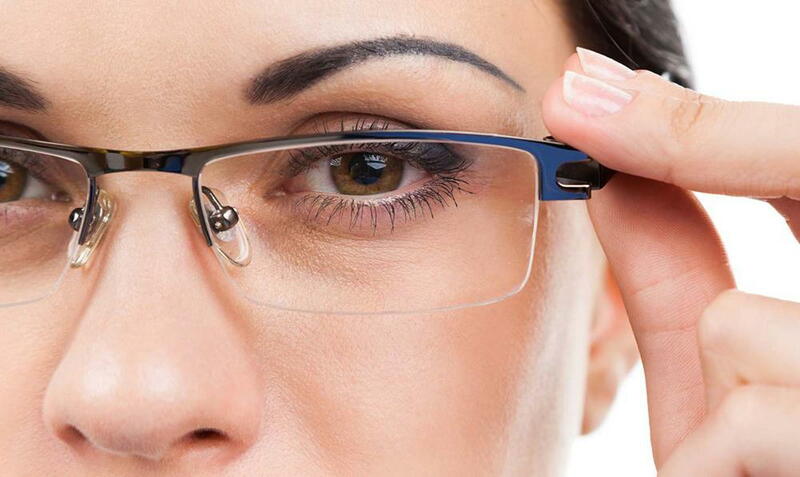 Several different materials are available for prescription lenses. One of the most popular materials for glasses is CR-39 resin, which is highly cost-effective and works perfectly. However, patients seeking a greater degree of scratch- and shatter-resistance sometimes prefer polycarbonate or Trivex. Eyeglasses can also be coated or infused with certain materials that can make them significantly more comfortable or durable. Certain coatings can work to limit particular frequencies of light, such as for UV protection or to ease eye strain from long-term computer use, with some even transitioning based on the level of ambient light. Other coatings can help make the glasses more resistant to scratching or help to avoid fogging during temperature changes. Why Choose Mi Vision Eye Care? Dr. Cuba and his team at Mi Vision Eye Care are passionate about helping every patient find the right pair of glasses for their style, needs, and budget. If you live in the San Antonio area and suspect you might need glasses, or you already have a prescription, contact us today to schedule an appointment.